Chaser the border collie has a vocabulary of over 1,000 words - the largest of any dog in the world. She knows nouns and verbs individually and, impressively, syntax: she can understand nouns and verbs in tandem to form an action. Chaser's owner, retired psychology professor John Pilley says that the pup has the capabilities of a two-year-old human. She's learned the names of hundreds of toys, thanks to nearly five hours of training each day. Chaser's cognitive abilities are not an anomaly. So, psychologist Brian Hare co-founded Dognition, a series of interactive games that give pet owners an unprecedented perspective on how their dogs think. 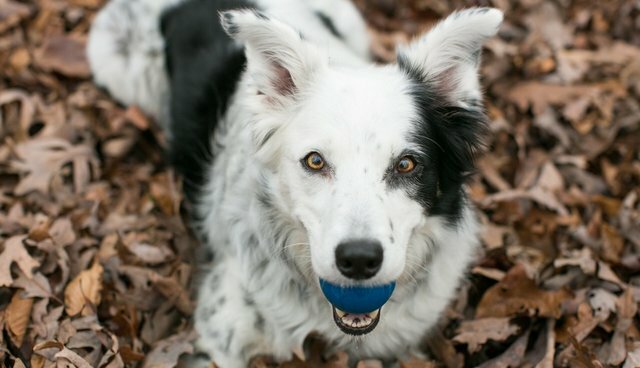 Canine cognition has exploded in recent years - top-tier universities and research sites, including Duke University, Yale University, the Max Planck Institute in Germany and Barnard College all have programs dedicated to studying dog psychology. At Emory University, neuroscientist Gregory Berns has been using an M.R.I. scanner to investigate the inner working of dogs' brains. In a New York Times op-ed last year, Berns revealed his findings, saying that dogs experience many brain functions that are startlingly similar to human experiences.